Hello. 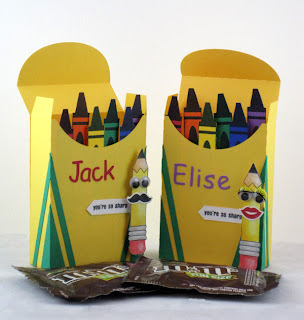 Annette here with a couple of fun treat boxes I plan to give my kids. Today is my daughter's first day of school. She is so excited. I thought this day would never come. It's finally here, and I have mixed feelings about it. My baby is off to school. My son, Jack, started yesterday. He had a great first day. I'm hoping the rest of the year is great, as well. This afternoon, they will come home to a couple of fun treats! Then I stamped the pencils onto white paper and colored them with Prismacolor pencils and odorless mineral spirits. I adhered googly eyes, a mustache and lips to give them some personality. I stamped the sentiment, cut it out and pasted it onto the box along with the pencil characters. 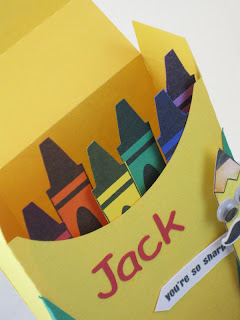 I proceeded to stamp the crayon image in rainbow colors, and adhered them inside the crayon box. 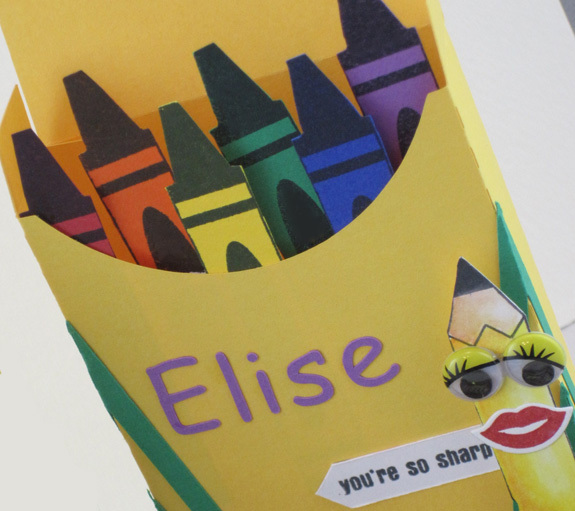 Last, I cut out my kids' names in their favorite colors to give it a personal touch. I really like how this turned out. I hope my kids do, too. 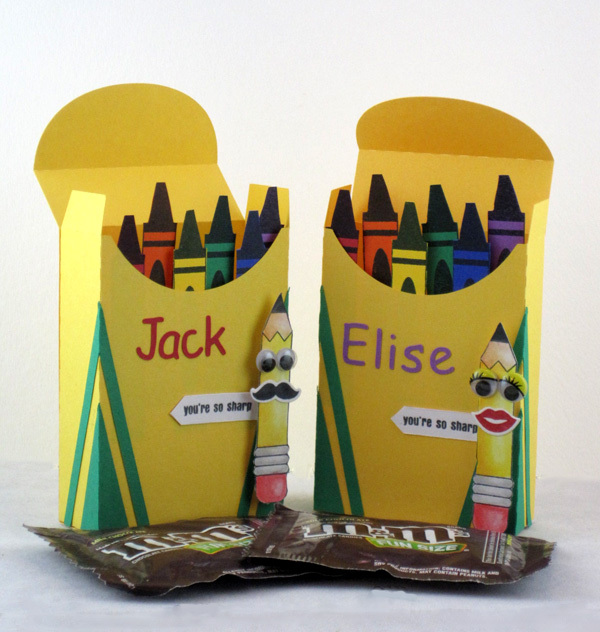 If nothing else, they'll love the M&Ms that will be placed inside them!!! Oh these are just the cutest Annette! Great job Annette- your kids will love 'em! !